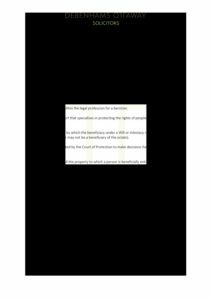 This month in Antuzis and Others vs DJ Houghton Catching Services Limited and Others  EWHC 843, the High Court ruled that the directors of a company can be personally liable for tortious inducement to breach contractual terms. An important decision for cross-border insolvency practitioners was handed down by the High Court on 22 March 2019 in the case of Bundeszentralamt Für Steuern (being the Federal Central Tax Office of the Federal Republic of Germany) v Heis & Ors . 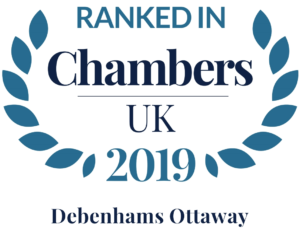 Debenhams Ottaway is the trading name of Debenhams Ottaway LLP, a Limited Liability Partnership registered in England and Wales under number OC373542. The registered office is Ivy House, 107 St Peters Street, St Albans, Hertfordshire, AL1 3EW. A list partners is available upon request. The term partner is used to refer to a member of Debenhams Ottaway LLP or an employee or consultant with equivalent standing and qualifications. The firm is authorised and regulated by the Solicitors Regulation Authority under numbers 567621 and 568531. © 2019 Debenhams Ottaway. All rights reserved.